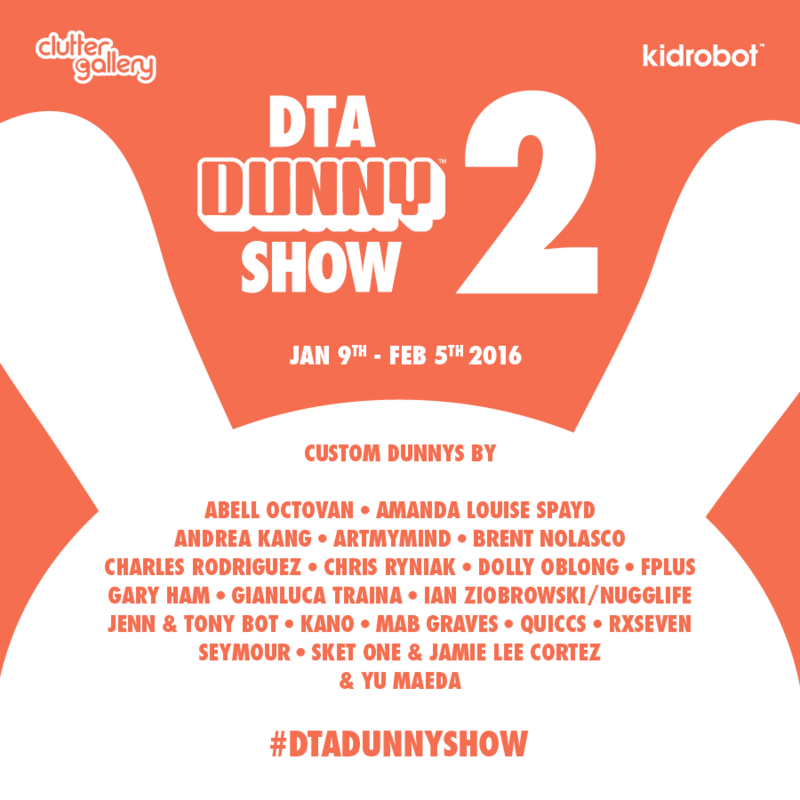 Kidrobot and Clutter Magazine are excited to announce the Second Annual DTA Dunny Show. The DTA Dunny show is a group custom show of 20” and 8” Dunnys by a variety of skilled artists. Sales from the show benefit the Designer Toy Awards, helping to finance the awards ceremony. The show will make it’s return with a host of talented and esteemed artists including: Abell Octovan, Andrea Kang, Artmymind, Brent Nolasco, Charles Rodriguez, Chris Ryniak, Dolly Oblong, fplus, Amanda Louise Spayd, Gary Ham, Gianluca Traina, Ian Ziobrowski/Nugglife, Jenn & Tony Bot, kaNO, Mab Graves, Quiccs, RxSeven, Seymour, Sket One & Jamie Lee Cortez, and Yu Maeda. For more about toys, collectibles, and events around New York City, keep it right here on NYCityGuys! Next Entry New WWE POP! Figures Enter the Ring This September!